With Light Apprentice, Amazu Media combines a comic book with an action packed game. At this very moment only volume one is available with a second and third volume on their way. This is yet another game in which you’ll be making game changing decisions whilst fighting off orcs, bugs and many enemies. The game tells a story of a world being torn apart by a machine supported group, called the empire. 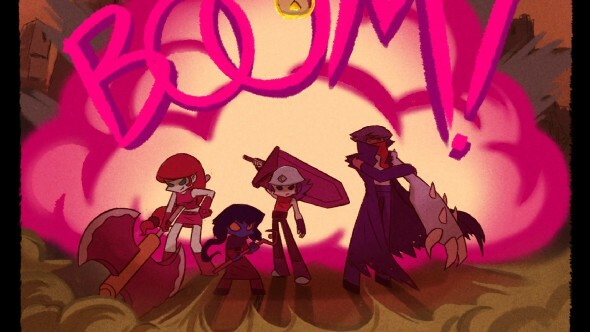 During the war only five kids were able to defend the world from the empire but they suddenly vanished without a trace. Three hundred years of war and destruction has passed, and with the empire having the upper hand, the remaining days of the world of Ethenia seem limited. Luck has it that blueling Tlob finds one of the five kids: Nate the light apprentice. Nate was held captive by the empire to drain him for his powers to power their machines. 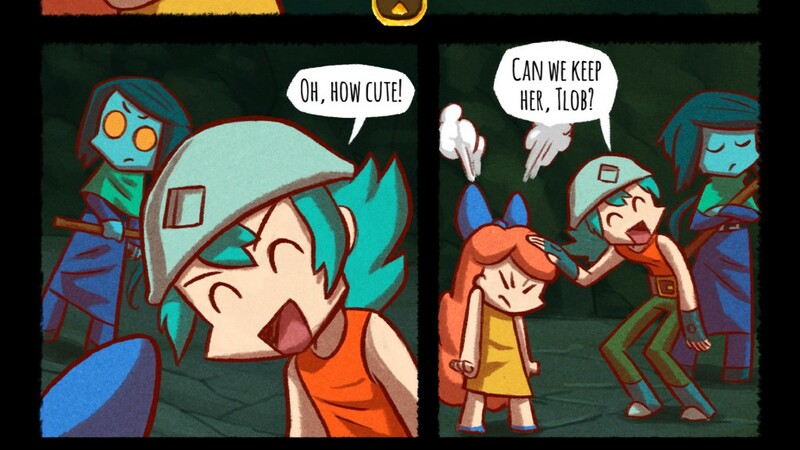 Together, Nate and Tlob, escape the secret lab in which Nate had been held captive and set out to find the remaining four apprentices. You’ll get sucked into the story from the very first second, it has some awkward moments, some funny moments or even really sad and emotional moments (keep tissues at hand at all times). The story is being told in a very unique way as well, it really just feels like reading a comic book but instead you’re not just reading it, you’re playing it as well. When looking at a game that has a cartoony vibe one would say graphics don’t really matter but the game looks just fantastic. Its color scheme, the way everything has been drawn, the battles,… as far as hand drawn games go, everything looks just astonishing. Although the frame rate of the battles tend to drop from time to time, luckily this doesn’t happen too often. The background music adapts to the various situations really well. Along with the compelling story, the sounds manage to pull you into the game. They fit the environments like the pieces to a puzzle. The songs are really just very basic songs but yet still they differ very well from each other. There are also different battle songs so you won’t have to listen to same piece of music being repeated over and over again. Of course the battle sounds don’t have anything special to it, a sword just sounds the way a sword would, but there’s nothing wrong with that is there? 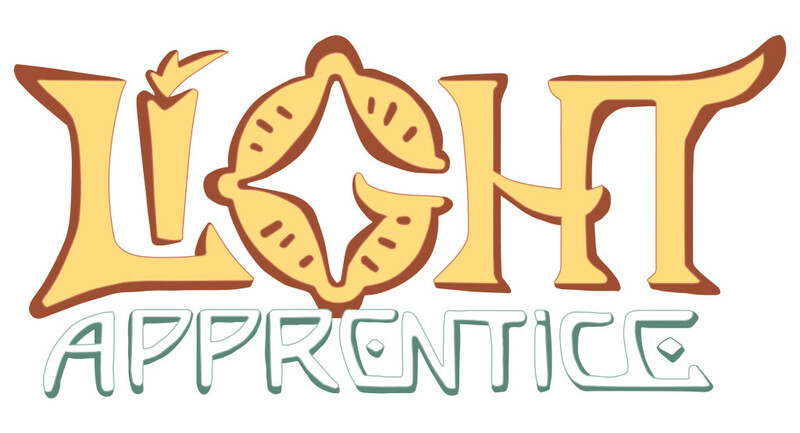 Light Apprentice is an action/adventure game which uses turn-based elements for its battles. You’ll have different choices at every turn for example you can go head on to strike a blow or use a skill which triggers some sort of a mini-game. 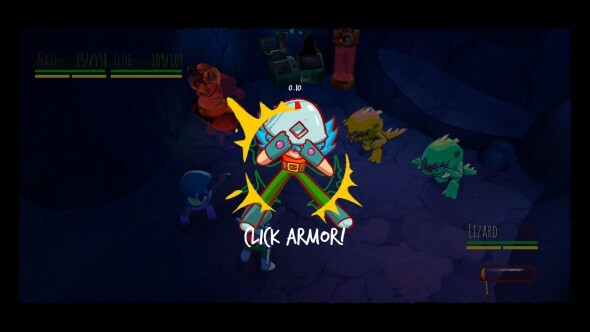 These mini-games vary from clicking as much as possible in two seconds to clicking a shrinking figure to keep its size aligned with an outline of the figure. Of course these skills use spirit points so you won’t be able to continuously use them. 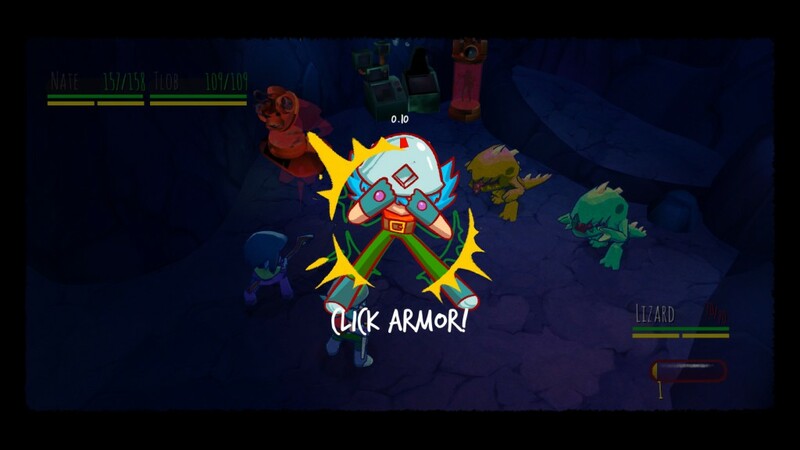 You’re also able to block any incoming attacks for a turn, whilst still taking a slight bit of damage or you can choose to you as an item such as a healing potion or revive potion. Although using an item doesn’t use up your turn which makes it so that you are always able to use an item and perform an attack. Besides these battles you’ll also find yourself completing minor puzzles. You don’t have to be a puzzling legend to complete them but they make up for a change of pace between battling and reading continuous dialogues. Also, from time to time you’ll be put in a place where you’ll have to make a decision, and because these decisions always give different outcomes the game does get a certain replayability. Alongside the main story there are also regular quests. Every chapter takes place in another position in the world, when you go to the quests sequence you’ll see the entire world map split up in the four locations of the four chapters. Every chapter has 15 quests. In these quests the only thing you have to do is fight off waves of enemies, with three challenges per quest. You’ll get a star per completed challenge and the goal of course is to get all those beautiful stars. There’s no denying that Light Apprentice has some serious potential, volume one is without a doubt an amazing game on its own but it does need volume two and three to finish off the story. But since there are zero to none remarks about volume one, hopes are really high up. With a wonderful story its beautiful graphics, basic (but good) sounds and the unique way of battling, puzzling and reading a comic book Light Apprentice is already a must play!